As an experienced sportsman, law enforcement professional or firearms expert, you know the difference a great product provides. Reliable, durable, and ready to make every shot - that’s what you can expect with SureFeed®. 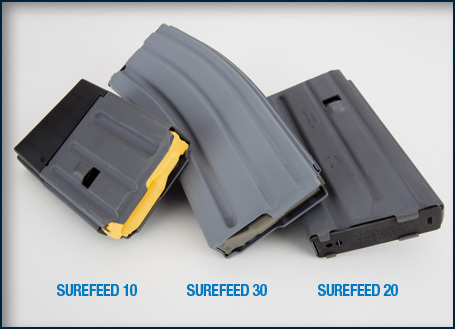 For more than 40 years, SureFeed® Magazines have been recognized for reliable feeding and flawless firing in any AR-15 compatible platform. These proven magazines are the choice for adults who understand that - whether you’re on the hunt or on the range - every round, every time is the goal of the expert sportsman. 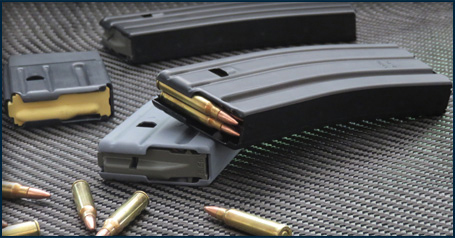 These are legendary magazines that are perfect for any AR-15 modern sporting rifle. 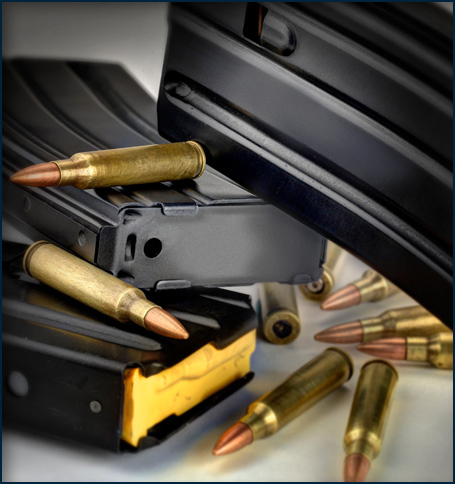 Developed in conjunction with the U.S. military, our original 30 round M16 magazine was created in 1973. Since then, we’ve improved on that foundation, engineering magazines that allow for speed, accuracy and precision for the expert marksmen or law enforcement professional who cares about true quality. SureFeed® magazines are 100% made in the U.S.A., with all-American components that meet or exceed demanding specifications. The magazine bodies and floor plates are lightweight aluminum, heat-treated to Mil-Spec requirements for strength and durability. They’re hard-coat anodized and finished in your choice of a Mil-Spec dry film lube grey or Tactical Black PTFE. A four-way, anti-tilt, self-lubricating, non-hygroscopic resin follower - and high-performance Mil-Spec stainless steel spring - keep rounds properly aligned and tensioned for flawless performance. Every round, every time. It’s what experts demand. Reliability rules when you’re choosing a magazine. We put each and every SureFeed® magazine through a multi-step inspection and testing process. Our proprietary quality control ensures every SureFeed® magazine lives up to its name and remains true to our legendary performance heritage. If you’re an experienced firearm expert, you demand the expertise of a SureFeed® magazine.